The global steel sector and its raw material suppliers continue to be caught up in trends largely beyond their control. Changes in the steel sector, especially in China, have changed the way raw materials are bought and used. Global political shifts have pushed up oil prices, driving mining and shipping costs higher. The growing availability of scrap, plus the reform of the Chinese steel sector, suggest a shrinking share of steel produced from iron ore and coking coal in the longer term. The steel and raw materials sectors are meanwhile reacting to disruptions in trade flows caused by unpredictable policies in key economies. The changing markets continue to throw up new opportunities however. New investments in capacity mean new customers for miners and scrap processors around Asia. A shift towards higher value steel products creates a need for higher quality raw materials and value-adding alloys. China’s push to become a bigger player in commodity derivatives provide new opportunities to hedge or profit. With so much going on we all need a roadmap to profit, so come to Kallanish Steel & Raw Materials Trade in Singapore on 23 November to share directions. Submit an abstract to be a speaker and join the conference at the Steel & Raw Materials Trade Summit 2018. » Email your abstract to marketiing@kallanish.com. Both raw material and steel trade flows are being affected by a shift in the geography of demand growth. As China slows, to what extent can other economies pick up the slack? Several regions have seen strong steel demand growth in recent years and expect explosive growth going forward. Many have also seen dramatic fluctuations due to policy changes and other factors. This volatile environment is now the core of investment in new steelmaking capacity, and therefore in steel-making raw material consumption growth. Investment itself is being shaped by growing protectionism however, with markets attempting to close themselves off in order to ensure steel is produced locally. The USA is at the forefront of this and is now shaping the tone of debate over trade more generally. Will protectionism threated or encourage ongoing steel projects? And how will that shape raw materials and steel demand? As some markets become more volatile and others become more calm, trading strategies are more and more important, whether they are used in securing margins or driving profits. Ensuring proper use of the tools available is key to both approaches. Paper markets are evolving to become increasingly nuanced and more specific to the needs of traders, miners and mills. The data revolution meanwhile is providing even more, as yet undeveloped, tools to maximise your gains in the market. How can you use data to drive your margins? And how best to protect them with derivatives? There has been one hot topic that has dominated the media more than any other in 2018. Trade wars and protectionism. Is the trade war here to stay? What are the goals of the sides involved? What are the likely outcomes? And what can everyone else do to avoid the pitfalls and take advantages of the opportunities this disruption will raise? In the aftermath of the great commodity cycle, iron ore and coking coal prices have continuously found new sources of volatility. The impacts of China’s supply-side reforms and changing investment in mining and logistics capacity continue to push and pull prices for blast furnace materials. Despite 62% Fe iron ore remaining flat for months, diverging and converging spreads for varying qualities and impurities of raw material, create additional risk for miners, traders and end-users, which must be managed. Meanwhile, the growing importance of portside markets in China, are pulling in a different direction to the growth of new markets such as India. Coking coal markets meanwhile continue to be driven by changes in demand for seaborne material and a lack of visibility in the Chinese market. Speakers will address these issues and more. As EAF steelmaking plays an increasingly important role in establishing the marginal cost of steelmaking, developments in scrap and electrode markets can have far reaching impacts on other materials and trade flows. After a brief overview of some developments in China’s scrap markets and trends out to 2025, we will look in this session at global scrap trade flows and how these are evolving. We will also look at graphite electrode markets, which came apparently out of nowhere two years ago to become a much more significant part of EAF costs. Supply and demand balance in these markets will shape steelmaking globally, but nowhere more so than in these EAF-heavy Southeast Asian markets. With so much going on in each raw material market it can be a challenge to see exactly how all the factor fit together and influence each other. That leaves the dynamics for raw materials markets overall unpredictable and full of risk. We round off our event with a panel to bring together some of the most experienced people in the market to discuss how materials will impact each other and what risks and opportunities that brings. Inspired by work experience in West Africa in rice, coffee & cocoa in early 90’s, Andrew has had a diverse career in international commodities trading. He has been posted in Switzerland, Australia, Singapore & USA in a variety of products & disciplines with a range of trading & financial organisations for over 22 years. Just over 4 years ago he left his agriculture focus for bulk resources, recently opening Avatar Commodities Consulting for a project with Anglo American to develop an iron ore trading business. This led to joining Anglo American Marketing Ltd in Aug 2017 as head of the new business unit, Ferrous Trading, growing a physical & financial trading business as an innovative producer with solution driven trading capability. Başak graduated from the Middle East Technical University, Faculty of Business Administration in 1997. She worked for Ernst & Young as an auditor and consultant until 2003, based in Turkey as well as in the CIS. Between 2003 and 2009, she lead re-structuring and strategic management projects of various large-scale industrial enterprises and a number of greenfield investment projects in Azerbaijan. During the course of her work, she gained extensive knowledge and experience in leading business relations and projects in the UK, Holland, Switzerland, Hong Kong and China. Between 2010-2013 Başak worked as the Marketing Director at OYAK Mining Metallurgy Group, including Erdemir and Isdemir, two biggest integrated flat steel producers operating in Turkey. Since 2013, she is the Chief Marketing and Sales Officer of the Group and since 2015, General Manager of Ersem, Erdemir Steel Service Company. She also undertook board member responsibilities in Turkish Steel Producers Association and currently serves as the vice president of Turkish Steel Exporters Association. Mr Gupta has more than 24 years of progressive experience in international business, sales & marketing, strategic planning, supply chain management, production, and project management. He is an effective communicator with exceptional relationship management skills with the ability to relate to people at any level of business. Mr Gupta is adept at market research & analysis, including market demand and customer mapping as well as customer relationship management. He is also experienced in strategy formulation and implementation for sustainable business and growth areas. He is a Certified Auditor of TS16949 and assessor for TBEM. Ms. Cuc was majored and attained B.S. International Business at Foreign Trade University in Hanoi, Vietnam, in 2004. She been working for Hoa Phat Group – a leading steel producer in Vietnam for more than 6 years. In her first role with the company, she was procurement executive at Hoa Phat Hai Duong Steel JSC, the largest blast furnace steel integrated plant producing long products in the north of Vietnam. After 5 years, she joined the group’s newest steel plant, Hoa Phat Dung Quat Steel JSC, which has a rated annual capacity of 4.8 million tonnes including long products and flat products. Early this year, Hoa Phat Group set up its first overseas office Hoa Phat Trading International Pte Ltd In Singapore. Ms Cuc is the Managing Director of this Singapore office. The Singapore office is responsible for the promotion of Hoa Phat’s steel products in global markets, as well as in the sourcing of raw materials. Gerry is Managing Director of the Stemcor Group’s Singapore based trading hub and oversees all Stemcor’s activities in Asia. He joined Stemcor in London in 1986 as a fresh graduate and moved to Singapore one year later. Over the last 30 years he has assumed a number of roles for Stemcor , both locally and at Group level , from where he has been instrumental in developing Stemcor’s Asian footprint in both steel and steel-making raw materials . Gerry is also a founding Director and current Chairman of the International Steel Trade Association’s Singapore branch which he helped establish in 2016. ISTA is an Association that brings together participants from all aspects of the international steel industry and is committed to the promotion of free and fair trade. Mario Montanari is a Senior Manager at Mitsubishi Corporation RtM International, where he engages in iron ore trading and also at the development of a research area for the same commodity. Mario has started his career in the sugar industry in Brazil after graduating in an International Relations and Commerce degree at university. Along his career, he has also worked at other sugar and ethanol trading houses, however in the past 9 years he has been deeply involved in Metals trading and investment at Mitsubishi Corporation do Brazil before being transferred to Singapore in 2016 to join RtM. Besides that Mario also holds a Master’s Degree in Global Political Economy from the University of Kassel in Germany. Arshdeep Singh is a Director at Vital Solutions, a Singapore-based trading company which serves the supply chains globally for the paper and the steel industry via investments in supply chain linkages, financing, offtakes and long term contracts. Prior to this role, Arshdeep was the Global Trading Manager for ferrous commodities at Cargill for over 14 years, where he was instrumental in building their global scrap & metallics business . Kirill joined Energoprom in March of 2016, before that during 10 years he worked for one of the leading steel companies in Russia – EvrazHolding as a Chief analyst in Strategic planning direction. Graduated from Moscow Aviation Institute, Economic Faculty in 1994, PhD in Macroeconomics and Modelling (Institute of Economic Forecasting, Russian Academy of Sciences, 2004). From October 2007 to March 2008 worked as a fellow from Evraz in the World Steel Association. Pralabh joined Wood Mackenzie in August 2015 in the coal research team focusing on Asia Pacific region. Pralabh undertakes a detailed analysis of coal mining assets, including production modelling, cost estimation and valuations. 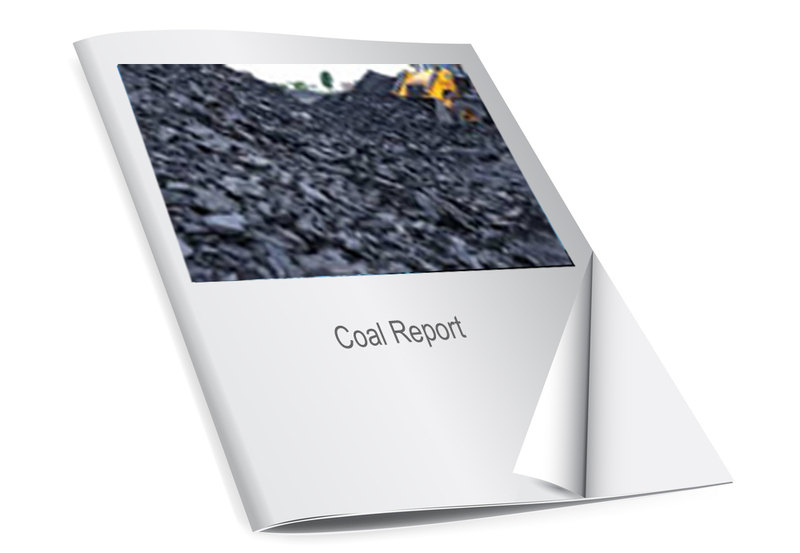 He also conduct research on Indian sub-continent coal demand and keeps track of international coal market for both thermal and metallurgical coal. In his previous role, Pralabh was working as a specialist in the Energy team at Rio Tinto providing industry and market analysis for supporting business development and establishing marketing strategy. He has worked extensively in India’s coal, steel and power sectors, covering demand-supply modelling, infrastructure assessment and policy analysis. He joined Rio Tinto from KPMG where he was working as a commodity analyst covering more than ten hard commodities. Pralabh has a Bachelor of Commerce (Honours), a Chartered Accountancy from the Institute of Chartered Accountants of India and a Masters in Business Administration (Finance). Bryan is an experienced commodities trader and risk manager with over 13 years of experience in companies like Noble, Citibank and Deutsche Bank. He has lead regional trading teams across Asia for the last 10 years and has a strong knowledge of the Bulk commodity business here in Asia in Coal and Iron ore. At Citibank he lead the Iron ore and steel trading business for Asia Pacific while based in Shanghai for the last 7 years and then went on to develop the business for Deutsche Bank on both the Bulk and base metals side. At all of these places his focus was on managing the trading margin or developing new methods to manage the risk. Having a broad background in different commodity products & companies allows him to bring new ideas and methods to solving problems and helping clients. In Arcadia he now is managing the Sales and structuring for the whole Asia Pacific coordinating the risk management, physical sales and structuring for the wider group. Dan is from Pittsburgh, Pennsylvania - the birthplace of the US steel industry - and he started in the industry in 2009 with the original Steel Business Briefing. Prior to that, Dan covered police and military affairs in Beaufort, South Carolina, and spot news for the Valley News Dispatch in Tarentum, PA. As part of the North American Kallanish team, Dan covers flats, tubular products and specialty steel products. Tim has been working for Trafigura for the last 8 years. He is currently responsible for Trafigura’s bulks derivative business as well as management of the iron ore book. He has previously worked for Noble Group and Goldman Sachs in London. He has a MEng degree in Chemical Engineering from The University of Nottingham, UK. He lives in Singapore with his wife and 3 children. Roger has 25 years experience in the ferrous sector. He has specialised in steel end use markets and is skilled at using and interpreting trade data as part of market studies. He is a vetted Expert on steel on the UK Register of Expert Witnesses. He has extensive knowledge of the world's steel producers, EAF and integrated routes, and their raw materials requirements, downstream assets and markets. He has performed due diligence on many international steel firms, and ferrous scrap re-processors. Recent work has included flat products, automotive steels including AHSS and UHSS, plate markets, cold rolled, galvanised and pre-painted steels. He has also performed work on long products, electrical steels and tinplate. Since 1993, he has been a close observer of the steel sector in China and its impact on the world. Jin is Director of Commodities at SGX. His responsibilities include development and enhancement of commodity derivative products including iron ore and coking coal. Before joining SGX, he was a trader at Pavilion Gas and Hess Energy Trading Company. He started his career at Glencore in 2003 where he was on the graduate trader programme in the London office before being transferred to Singapore. Jin graduated from the University of Oxford with an MA in Philosophy, Politics and Economics. Steven Randall has over 25 years of experience in the steel, metals and mining sectors where he has worked in a range of consulting, corporate and entrepreneurial roles. Steven co-founded The Steel Index (TSI), a specialist ferrous price information service, in 2006. He quickly established TSI as the leading provider of benchmark prices for iron ore, steel and scrap, used by industrial companies worldwide and as the settlement basis for over 30 futures/derivatives contracts on commodities exchanges in Asia, Europe and North America – most notably the SGX iron ore contracts and LME steel scrap contract. Having built TSI into a multi-million $ business, it was sold to S&P Global Platts in 2011. Steven continued as TSI’s Managing Director for a further four years before being appointed as the Director of Global Content (pricing, news and analysis) for all of Platts metals and TSI. He left this position at the end of June 2016 to pursue new ventures and undertake independent consulting assignments. He has been leading the development of Metals Market Index (MMi), a subsidiary of Shanghai Metals Market (SMM), since 2017. Prior to establishing TSI, Steven was the Director of Strategy at Corus, the major European steel producer acquired by Tata Steel in 2007. In this role he was responsible for the Group’s corporate strategy and planning activities for over four years. Steven started his career as a strategy consultant in 1988, working for over eleven years with Hatch Beddows in Europe and North America, specialising in steel industry projects. Following this, he joined Steelscreen, an independent metals e-marketplace, as its UK General Manager. Steven holds an MA in Mathematics from Cambridge University. List updated 19th November 2018.